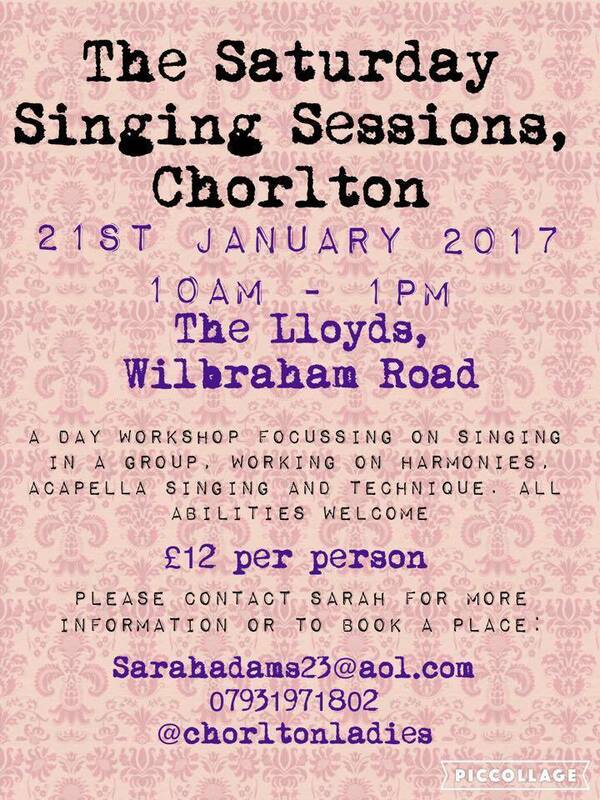 The first of our 2017 Saturday Singing Sessions takes place on 21st January. Join us for a workshop on harmonies and acapella singing techniques. 10am -1pm. £12 per person. Copyright © 2019 choirsmanchester.co.uk. All Rights Reserved.